We are a locally owned and operated Asphalt Paving Contractor serving Madison, and all of Wisconsin. 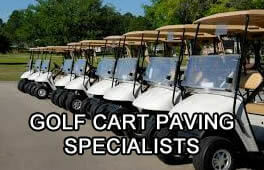 Our experienced staff installs commercial grade asphalt products that are not sold at retail stores. We are committed to earning long-term customers through affordable prices, best in class customer service and quality of work. Call today for a free asphalt assessment and quote for your residential or commercial property. Asphalt paving in Wisconsin takes a beating everyday from exposure to vehicle fluids and vehicles constantly traveling across the surface to being exposed to the elements 24/7. Wisconsin's weather can affect asphalt tremendously. Our weather ranges from extreme heat to freezing winters and everything in between. These weather conditions can also change dramatically in a short period of time and all of this wreaks havoc on your asphalt. This is why it is important to choose an asphalt contractor that is familiar with the local weather conditions.